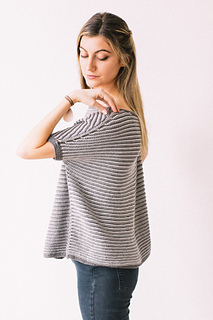 This cool tee features welted stripes that shift along the front and back center. 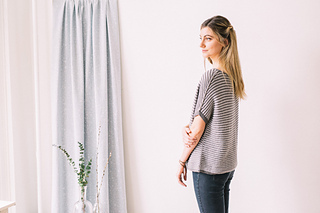 Worked in the round from the bottom up, with short row shaping in the shoulders, this is a fun and easy knit. 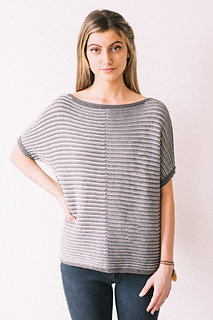 Though simple, the interrupted stripes give this piece some high drama. 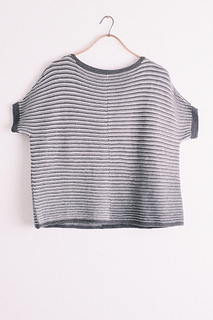 Long-tail and cable cast ons, basic and three-needle bind offs, picking up stitches (links provided); short rows.